These rare animals are enjoyed as much as the travelling days because ‘one night stands’ are stressful, packing and unpacking the car every night and morning. The routines for a day off are many and varied. Some have a lie in and a late breakfast before a day lazing around. Some head off on an excursion, determined to benefit the maximum from being in an exotic location. Some head for the car park for some light fettling and a session with the chamois.. Some have issues with the car to resolve, and Paul is on full twirtle helping out. 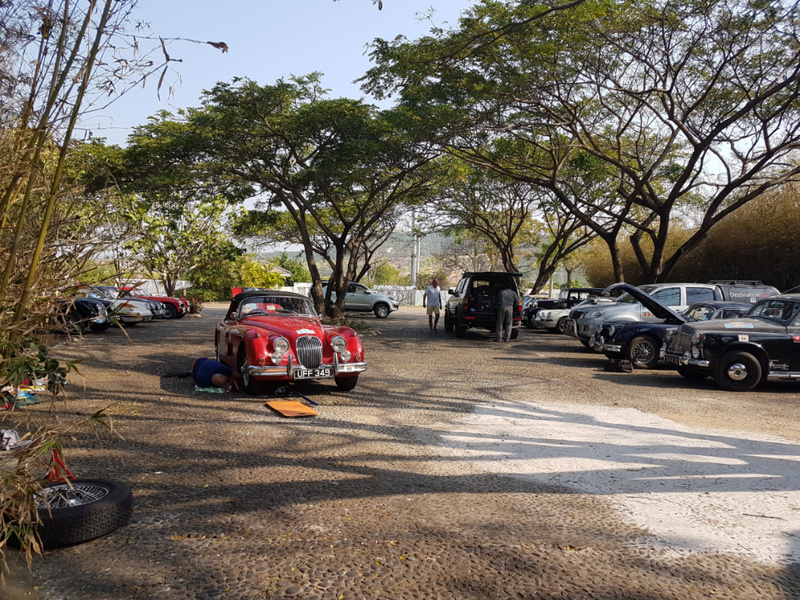 The parking area was a maintenance and repair sight as all the eager beavers were out ferreting and fettling with their cars or waiting in line for Paul’s help. 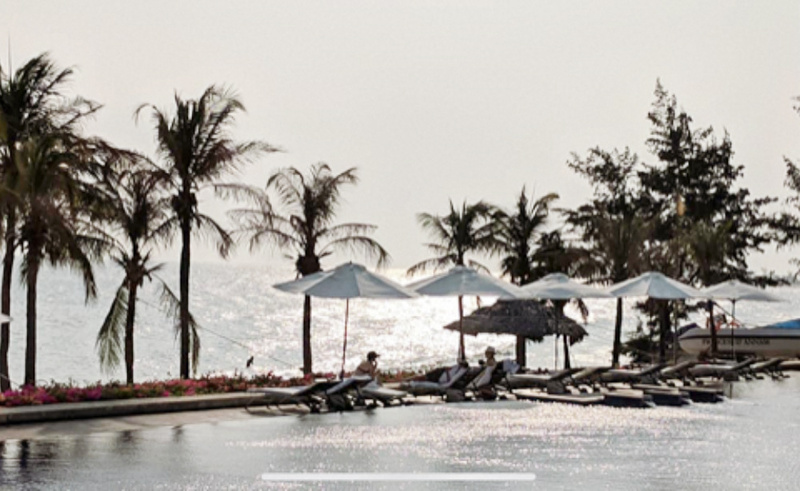 Some book a massage and some go for a swim in the South China Sea. Some do some washing and some sort out their bags. Some catch up with emails, or the book that needs finishing. 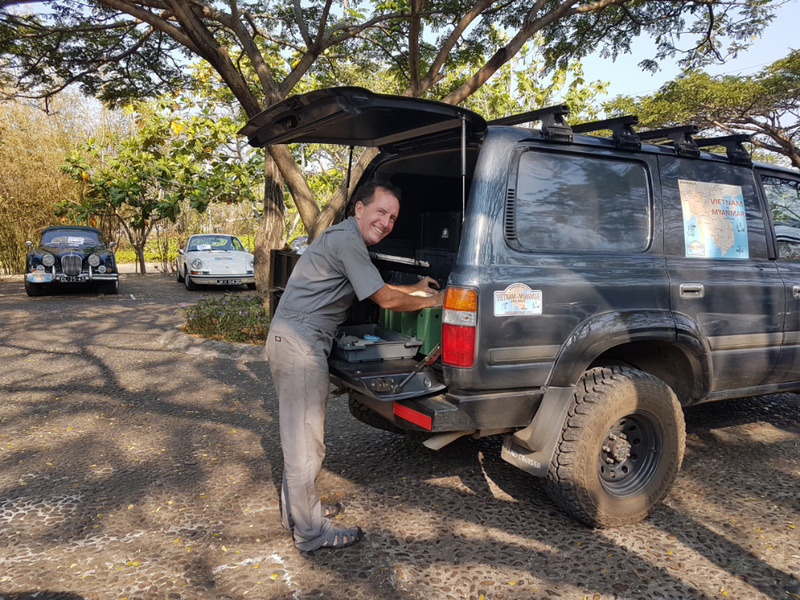 But nobody manages to do it all……..
For everybody though, the rest day is precious and we wont get another one for 5 days when we reach Siem Riep in Cambodia on Valentine’s Day. 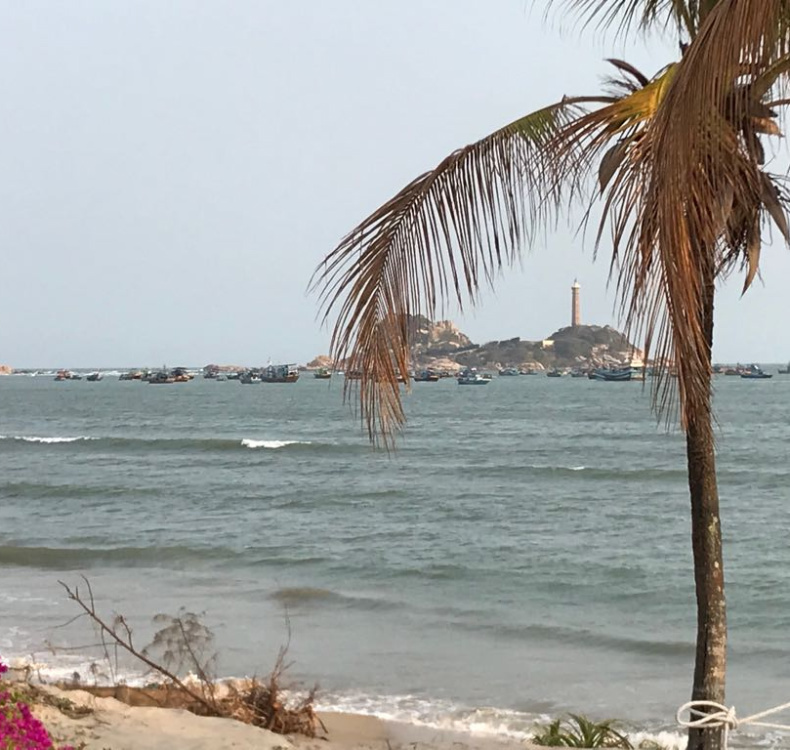 The day was spent in Ke Ga, in the shadow of the the lighthouse built in 1899 to warn of the treacherous rocks off the coast and is the tallest in Vietnam. 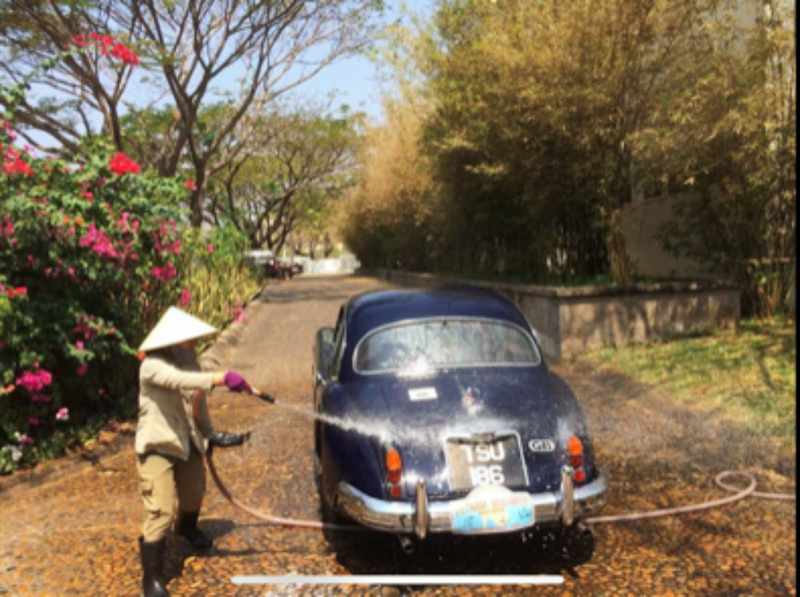 The observant amongst you will notice that this is the first picture shared of car 15, the MG. There’s a reason for that! A saga of ships, ports, storms, who knows what, delayed the car and it has only just caught us up, but John and Marian have been philosophical throughout. 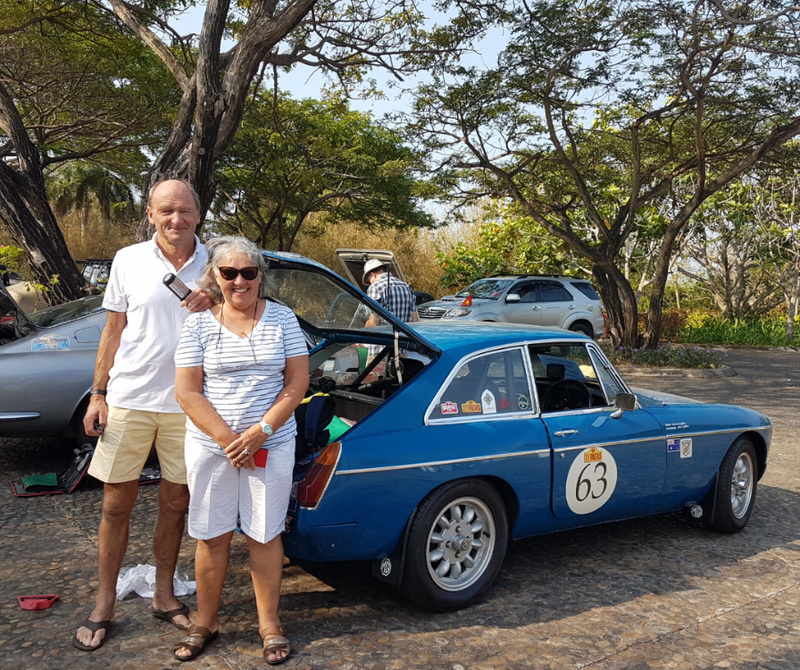 John and Marian have been amazing about the delay and have enjoyed travelling with Neil and Tessa/David in the 4x4s but are now happily reunited with their treasured car and looking forward to completing the rest of the journey together. 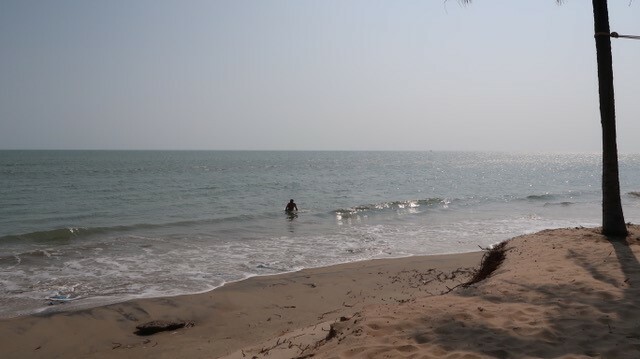 Early nights all round were also on the cards as tomorrow is a nine hour driving day, including skirting around Ho Chi Minh which might be “interesting” for the navigators!